Couldn’t say it if it wasn’t true! Anyway, one of the pastimes that DOES give me great satisfaction is this little cartooning/blog project. So here we are. 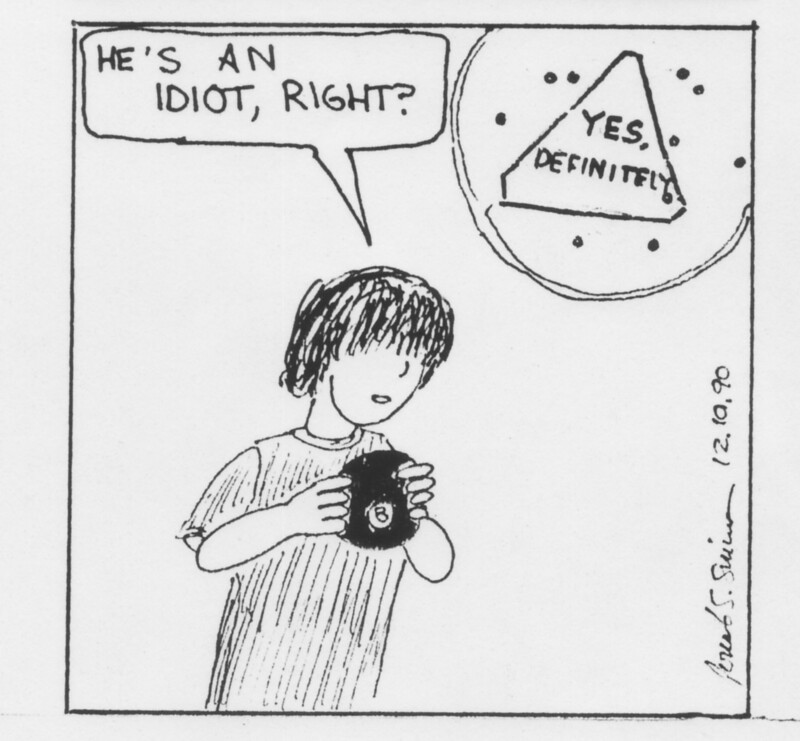 This is the last panel from one of a series of strips I drew in the 1990s. I’ll get into the details of that strip some other time. Right now I just need to get this out there. Author jmonsPosted on November 9, 2016 December 28, 2016 Categories Evan & IanTags armageddon, election 2016, Evan & Ian, magic 8 ball, monsiana, screwedLeave a comment on [expletive deleted]!